Bob Corritore, one of the top Chicago blues harp players on the planet today and owner of the Rhythm Room in Phoenix, AZ brought a terrific concert to town last night and I was fortunate enough to be in attendance. Corritore, a native of Chicago moved to Arizona over 30 years ago and is such a part of the blues music fabric here that he is sometimes taken for granted by locals. Making routine appearances here around his own recording and touring schedule he often becomes a complimentary musician to guests in his own house. His instrumental release, Taboo is certainly one of the best contemporary blues harp releases that I have heard. 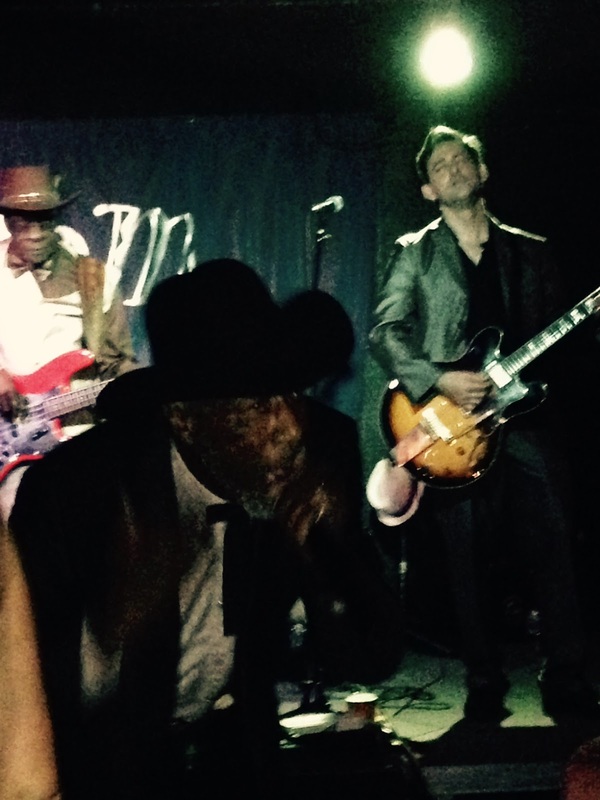 Last night, hosting a great group of Chicago musicians, Corritore took the stage with Eddie Taylor Jr. (guitar and lead vocal),Illinois Slim (guitar) and Brian Fahey (drums). This was a terrific set of straight up Chicago blues showing just how good Taylor is both as a lead singer and blues guitarist and giving Corritore the opportunity to really shine.This initial set was maybe 6 -10 songs and was extremely well received. 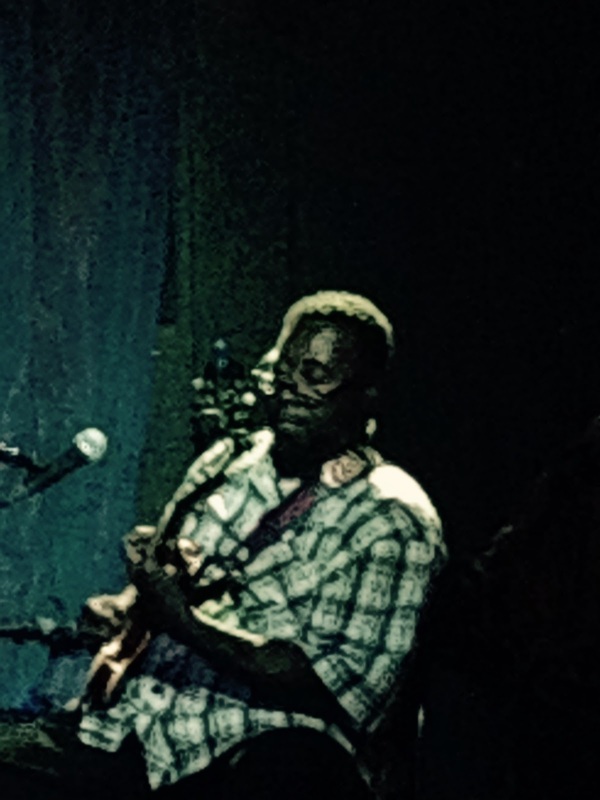 Exceptional bassist and vocalist Bob Stroger joined the group on bass and lead vocals. Stroger is an exceptional performer who stands out as a musician when in a back up role but as a leader really takes control. Having performed with Eddie King, Odie Payne, Otis Rush, Sunnyland Slim, Willie Big Eyes Smith and Carey Bell, he knows how to do his business and he took control. This was a short but powerful set with Strogers queezing solid gutsy blues from this set of excellent musicians. This probably isn't a secret to any of my daily readers but I was especially here to see Rockin' Johnny Burgin. Johnny took the stage like wild fire playing two dynamic tracks from his most recent release, Greetings from Greaseland which is exceptional. I had only seen Johnny on video, backing others such as Tail Dragger on his DVD Live At Rooster's Lounge and on Youtube so I was extremely anxious to see him in person. This guy has his own style of guitar playing and is a really super singer. Now don't go off half cocked thinking I'm saying he's Stevie Ray Vaughn or Joe Bonamassa. He's Johnny Burgin and he takes his craft seriously, playing the rocking edge of the Chicago blues and doing it with dynamic style. Burgin only played two tracks as a band leader/lead vocalist, but I've been to concerts where there weren't two songs that I enjoyed as much as these two tracks so don't take that lightly. Next up was ninety year old Henry Gray has played with a literal who's who of blues including Sonny Boy Williamson II, Homesick James, Robert Lockwood, Jr., Billy Boy Arnold, Muddy Waters, Johnny Shines, Hubert Sumlin, Lazy Lester, Little Walter Jacobs, Otis Rush, Buddy Guy, James Cotton, Little Milton Campbell, Jimmy Rogers, Jimmy Reed, and Koko Taylor. I reviewed his most recent release with Corritore, Blues Won't Let Me Take My Rest and his appearance in person was dynamic and memorable. His vocals are solid and his piano playing inspiring. His style to my ear is somewhat similar to one of my favorites, Booker T Laury and his set as a leader was really great as well. Finally Tail Dragger took the stage, or the entire room as the case was, singing to and hugging most everyone in the room. Kneeling, crawling and growling the entire way, Tail Dragger lived up to every show of his that I have ever seen. Check out my review of his most recent release, Stop Lyin' from 2013. Burgin, who is a now regular with Dragger had some super opportunities to fan the flames and although careful to never take over the show, was super hot gasoline on the smoking fire. Needless to say this was an exceptional show. If you have the opportunity to see this line up, do it. It won't happen too many times and clocking in at over 3 hours, you get way more than your monies worth! Oh, and Rockin Johnny has some terrific hot blue t shirts. If you know the Bman, you know he's all about the blue (s) so don't be afraid to ask Mr Burgin. They are very affordable and really cool. Mine's in the mail so don't be surprised to see me sporting one at the next blues show!